The quantitative approach to earth science research has a long and honourable tradition in Scotland, going back over at least a century to E. M. Anderson (1877-1960). Anderson graduated with a first class honours degree in mathematics and physics at Edinburgh University, then became a geologist with the Geological Survey of GB (now the British Geological Survey, BGS). His seminal paper of 1905, The dynamics of faulting, put the theory of geological faults on a sound mechanical basis. 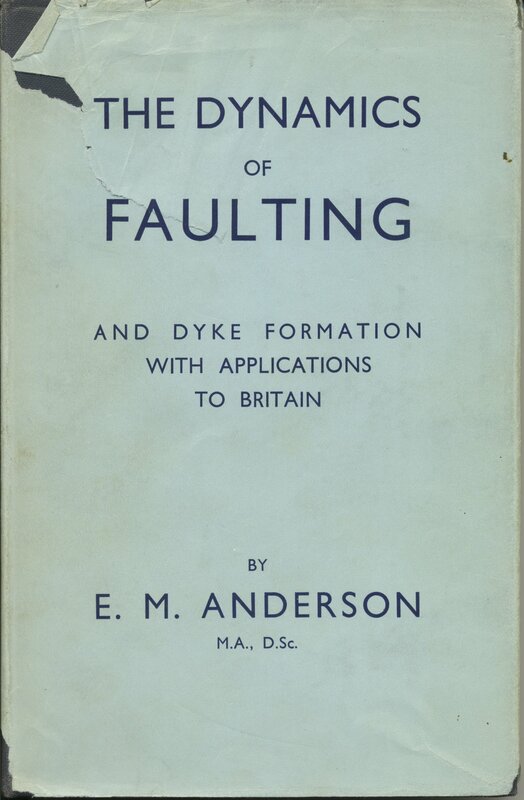 His 1942 book expanded upon his ideas to include dyke formation and crustal tectonics, illustrated by examples from British geology. My dog-eared copy of Anderson’s ‘bible’. Andersonian theory, as it became known, still has a place within the modern paradigm of plate tectonics. I was fortunate to be studying geology at Glasgow from 1966-1970, just as the revolutionary new paradigm was becoming established. But Anderson’s book from three decades earlier remained the bible for any earth scientists interested in quantifying stresses in the earth’s crust. In contrast, a lot of geological research in that era was still of the descriptive and classifying kind – what Ernest Rutherford (of atom-splitting fame) referred to disparagingly as ‘stamp-collecting’. In parallel with the development of plate tectonics, computers were becoming established as tools for research, but outwith a university’s computing science department, other university scientists and engineers would only have the opportunity to program computers at the post-graduate level. In that era Glasgow was running an English Electric KDF9, a powerful machine for its day, on which I learned programming as a postgraduate geophysics student in 1970. Difficult mechanical problems, including those in geology such as fluid flow from a fracked shale, can be modelled by breaking down the object – whether it is a piece of geology, a bridge, a building, or a spacecraft – into little bits called finite elements. Computers are then employed to solve the equations, and thereby make a prediction, or model, of what should happen in reality. I had used the finite element method as an undergraduate in 1969 to demonstrate that so-called ‘chevron’ folds in rocks are not caused by a breakage to form the sharp crests and troughs (the conventional view), but are simply the end member of a spectrum of fold shapes varying from sinusoidal to pointed . This is what is seen in real rocks. However, I solved the finite element problem graphically, not by computer. (Left) Chevron folds in rock layers are an end-member of a spectrum of shapes, according to a finite element model. In 1971 I was joined by Ian Vann in the postgraduate geophysics group. Ian had been a geology student in the year below me, and was well known at the university for having been in the papers a couple of years earlier as the top-ranked member of Mensa, a society for people with exceptionally high IQs. Ian’s PhD project was to quantify and develop Anderson’s semi-quantitative conclusions about Tertiary-age dyke distribution and trends in Britain by applying the finite element method to a (relatively) complex model of the crust of Scotland, using the KDF9 mainframe computer. 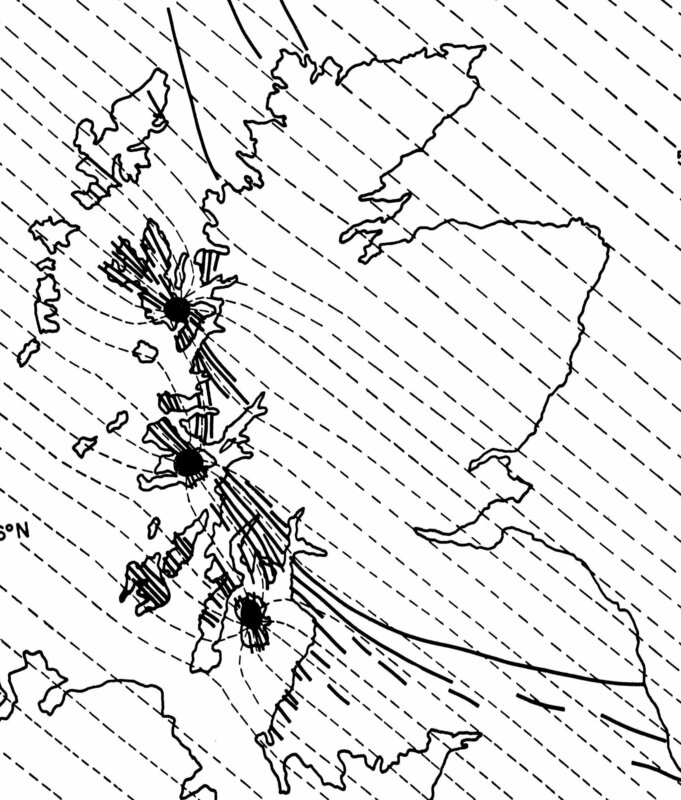 Ian Vann’s finite element model for maximum crustal stress directions (dashed lines) across Scotland for fifty million years ago. The dykes (solid lines) emanating from the three igneous centres of Skye, Mull and Arran (black discs) should follow these trends . I took a keen interest in this work, and accompanied him on field trips to examine the dykes that he was modelling. I also read the first popular textbook on the finite element method , dating from 1965, and realised that matrix algebra, which had previously seemed to me an obscure, difficult and boring topic in the second year maths class, suddenly made sense, in portraying and solving simultaneous equations. Ian’s research was probably the first in the earth sciences to use the finite element method in this way. He left Glasgow in 1974 without submitting his dissertation and joined BP, eventually rising to become the company’s Technical Director. 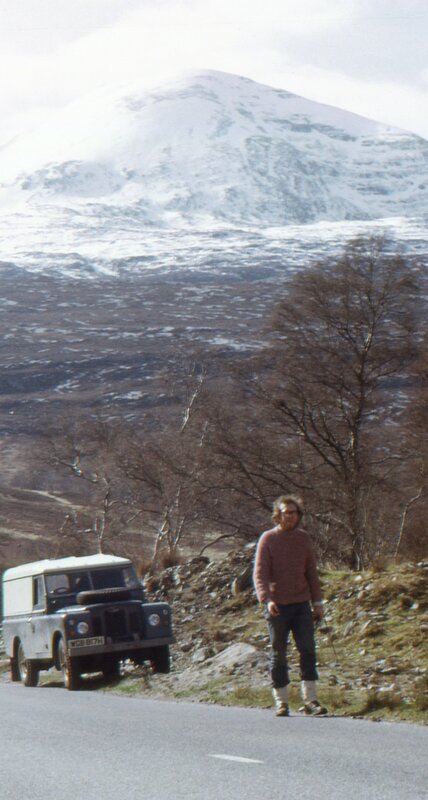 (Left) Ian Vann on fieldwork in NW Scotland, 1972. A few years later Mike Russell and I began supervising a part-time PhD research topic undertaken by Andy Skuce. Andy was in my group at the BGS in Edinburgh, and Mike was at Strathclyde University. Andy worked on finite element modelling of an arcuate dyke swarm in the European crust, this time in a plate tectonics context. But he left his thesis unfinished, like Ian, and joined the oil industry in Calgary. Like Ian, he rose high in the oil industry, and became a vice-president of Encana, one of Canada’s largest energy companies. 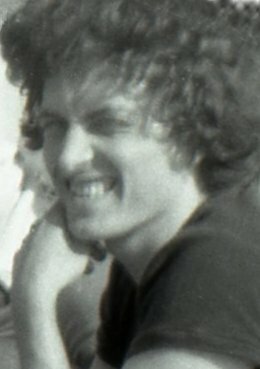 Andy’s work (undertaken at the BGS in 1979-80) was eventually incorporated into a paper published in 1995, by which time Mike and I, his co-authors, were at Glasgow University. Andy Skuce’s finite element model predicting stress directions (crosses) correlating with dyke trends (solid lines) at the time when the North Atlantic started opening up, 290 million years ago . If the modern fossil fuel industry in our age of anthropogenic global warming (AGW) can be likened to a mafia-type enterprise, then Andy is a true pentito. Since retirement in 2004 he has studied the problem of AGW. He is a co-author of the famous ‘97%’ paper demonstrating that a “vanishingly small” number of peer-reviewed papers on climate change reject the consensus on AGW . Since its publication in 2013 the paper has been downloaded 300500,000 times, and has been quoted by President Obama and the Pope [corrected 3 Sep 2016]. Finite element modelling in geology has advanced far beyond the simple two-dimensional elastic-plate models of the 1970s discussed above. The method is now applied to the prediction of fluid flow up faults as a result of fracking. The models are three-dimensional, and can include water and gas flow as separate fluid phases. They are within the domain of hydrogeology. Illustration of a modern finite element model for predicting flow from a fracked zone up a fault . Starting in 2012, six separate studies have been published on modelling such fluid flow using the finite element method. Prior to that date there were only mentions of the possibility of faults being implicated. The organogram below, up to the end of 2015, shows that the field has quickly flowered. The six peer-reviewed studies shown in green boxes with an upright font originate from the work of 24 authors in 11 separate institutions. 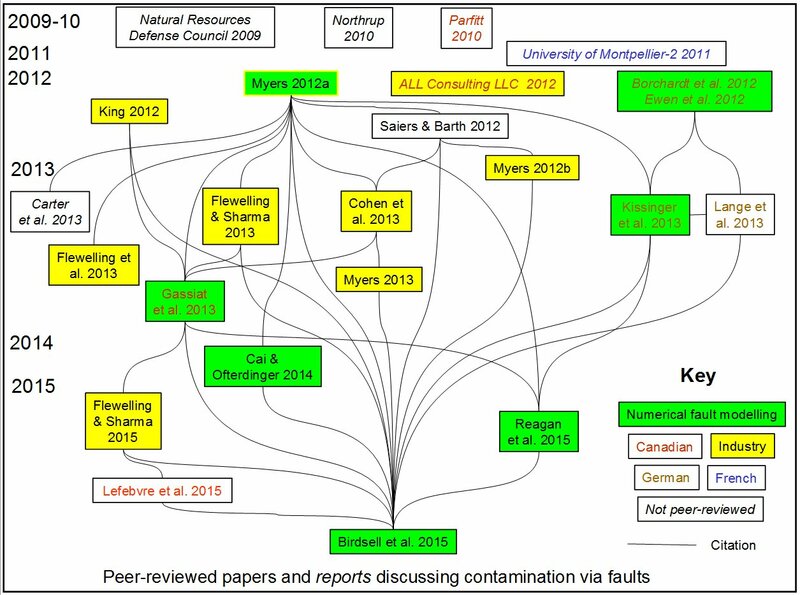 Organogram relating research on faults as potential contaminant pathways. Professor Younger at Glasgow University holds the Rankine Chair of Engineering, named after the illustrious William Rankine, the nineteenth century professor of civil engineering and mechanics at Glasgow, and one of the founders of the science of thermodynamics. Professor Younger describes himself as Professor of Energy Engineering. But his research background and experience is in hydrogeology, with an emphasis on geochemistry. 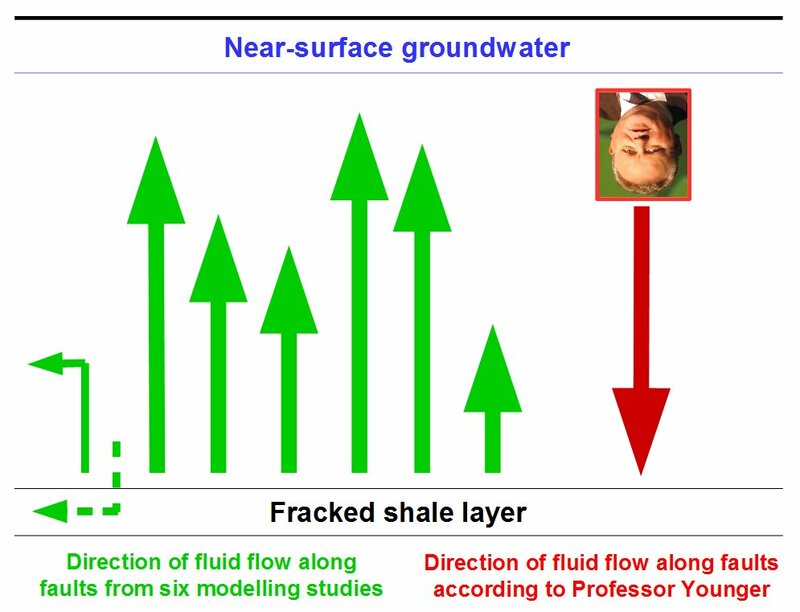 With his particular interests in unconventional energy sources and fracking, Professor Younger’s research should also follow on naturally from the history of fault mechanics in Scotland, and the early work at Glasgow in applying computers to solve problems of stress in the crust, as I have outlined above. So one might reasonably expect that Professor Younger would be up to date with the hydrogeological modelling of flow up faults discussed in the previous section. But this is not the case. His view not only contradicts the consensus; he also seems to be unaware of this work. Six independent finite element modelling studies all conclude that flow up faults from a fracked shale layer is upward (green arrows). But the estimated transport times vary enormously, from 10 years to 1000 years for water, and from a few days to months for gas. Near the shale the flow can be downwards (dashed arrow) when the shale gas is being produced at the well; and some of the upward-flowing fluids are re-absorbed into rock (L-shaped arrow). He appears instead to rely upon his own intuition and experience, to insist that “the prevailing hydraulic gradient would be downwards” . Now, intuition in science is not a bad thing – after all, Einstein used it in his thought experiments long before he wrote out any equations – but when the research already exists it cannot simply be ignored. To rewrite for scientists the legal aphorism about ignorance of the law: ‘Ignorantia scientiae neminem excusat‘ – in short, ignorance of the science does not excuse Professor Younger. It is a pity that the honourable tradition of Scottish-based contributions to faulting and crustal stresses throughout the twentieth century, based on sound quantitative principles, now seems to have been forgotten at Glasgow University. In conclusion, if Professor Younger wishes to engage with the fracking contamination debate in a meaningful way, I would respectfully suggest that he first reads and digests the existing scientific literature on the subject, instead of issuing ill-considered pronouncements in defence of fracking, and by quoting out-of-date and inadequate studies such as the 2012 Royal Society / Royal Academy of Engineering committee report  (of which he was a co-signatory). Both Scotland and Glasgow University deserve better than Professor Younger’s singular approach to scholarship. Smythe, D.K. 1971. Viscous theory of angular folding by flexural flow. Tectonophysics 12, 415-430. Vann, I.R., 1978. The siting of Tertiary vulcanicity. Crustal Evolution in North-western Britain and Adjacent Regions. Geol. J. Spec. Issue, 10, 393-414. Zienkiewicz, O.C. and Cheung, Y.K. 1965. The Finite Element Method in Continuum and Structural Mechanics, McGraw-Hill, New York. Smythe, D.K., Russell, M.J. and Skuce, A.G. 1995. 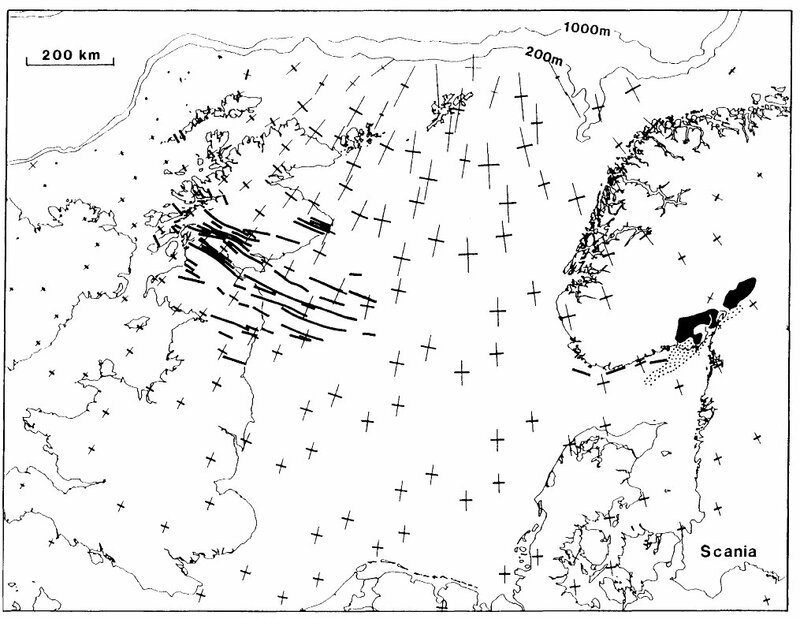 Intra-continental rifting inferred from the major late Carboniferous quartz-dolerite dyke swarm of NW Europe. Scott. J. Geol. 31, 151-162. Cook J., Nuccitelli, D., Green, S.A., Richardson, M, Winkler, B., Painting, R., Way, R., Jacobs, P. and Skuce, A. 2013. Quantifying the consensus on anthropogenic global warming in the scientific literature. Environ Res Lett 8(2),1–7. Birdsell, D. T., Rajaram, H., Dempsey, D. and Viswanathan, H. S. 2015. 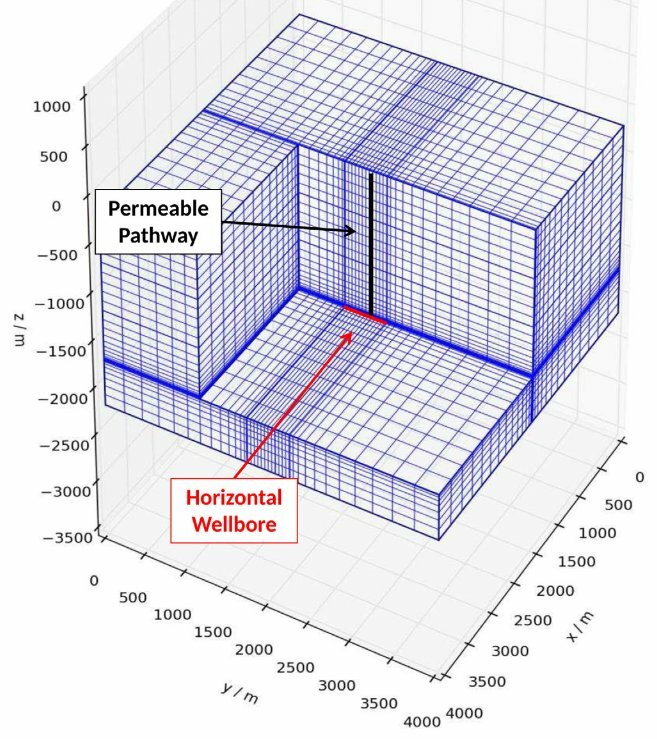 Hydraulic fracturing fluid migration in the subsurface: A review and expanded modeling results, Water Resources Research, 51(9), 7159–7188. Younger, P.L. 2015. Letters: Fracking contamination claims contested. New Civil Engineer, 21 September 2015. Royal Society and Royal Academy of Engineering 2012. Shale gas extraction in the UK: a review of hydraulic fracturing. Issued June 2012, DES2597.